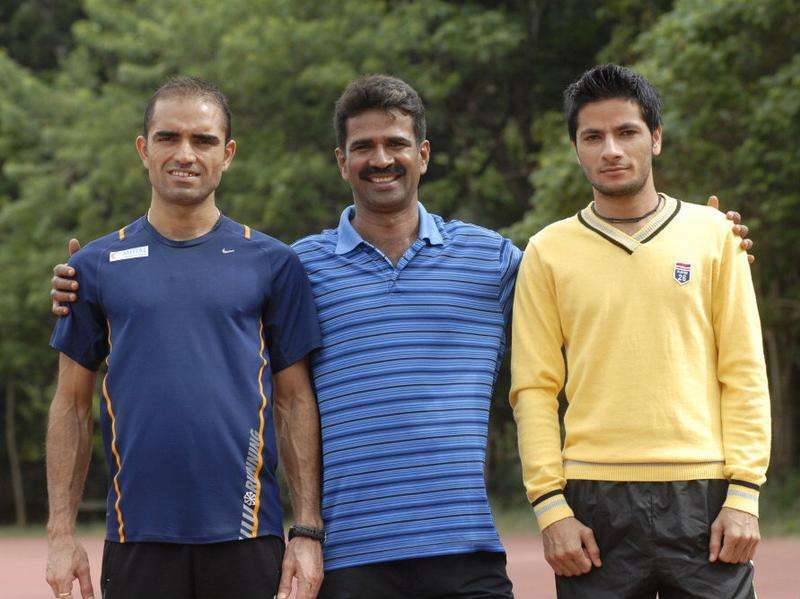 Noted race-walking coach Ramakrishna Gandhi, who had trained several walkers to success at international meets, passed away after a massive cardiac arrest at his residence in Bengaluru on Sunday morning. The 55-year-old was a part of the academic faculty at the Sports Authority of India’s Bengaluru centre and was associated with the Indian athletics scene for over a decade. The coach complained of uneasiness and collapsed at his residence in the early hours of Sunday following which he was rushed to the hospital but was unfortunately declared dead on arrival. Everyone at the SAI centre, coaches and athletes alike, were shocked to hear about the sudden demise for just the previous morning on Saturday, Gandhi had a long training session with his students. "I rushed to his room hearing my sister's screams and after futile efforts to get an ambulance we rushed him to NIMHANS in our car. He was declared brought dead. Later, an autopsy was conducted at the St John's hospital," Gandhi's son Sandeep, was quoted as saying to the TOI. The popular coach is survived by his wife Sailaxmi, a recipient of the President's award and an Assistant Professor at NIMHANS, his daughter who is pursuing her post graduation in US and son Sandeep who is a student of Dayanand Sagar Engineering College. Originally hailing from Vellore in Tamil Nadu, Gandhi was a long distance runner and also a steeplechaser in his days and subsequently moved to the coaching scene after securing a diploma from NIS. A fine coach, he was instrumental in shaping the international careers of many athletes, especially Olympians Gurmeet Singh and Baljinder Singh. "My performances began to improve only after I began to train under Gandhi sir six years back. From then on, I never wanted to train with anyone else but him. He was so happy when I won the gold medal at the Asian Race Walking Championships in Naomi, Japan, as it was India's first gold in the meet and the first at the Asian level after Chand Ram won at the 1982 Asian Games," a visibly shattered Gurmeet told the Times of India. "This is my first visit to his house. I wonder how he managed to be on time for the early morning sessions (5.30-6am). It is another proof of his dedication and passion for the job. During training sessions, he'd cycle next to me while I walked. I'll miss him a lot," the 31-year-old added while talking to the SportStar. Another top coach said that Gandhi played the role of a guiding light for the Indian walkers, giving them a new direction, "It was Gandhi's work that helped Gurmeet to lower the national record in 20km Race Walk by around three minutes. He clocked 1 hour, 20.35 seconds in 2011 to better the 1:23.06 set by Babubhai Panocha in 2009. He got the focus on walkers and they continued to improve with the federation also roping in a foreign coach," he said to TOI. However, a controversy surrounding his death is the issue of trauma. The coach was recently omitted from the national camp slated to take place in Patiala, with many of his friends claiming that the coach was not the same person after the Rio Olympics. "Coach saab was disturbed after the Rio Olympics and I could make that out. I couldn't do well at the Olympics because of an infection on my foot as I tried out new shoes," said Gurmeet, taking the blame for the move. "Gandhi was upset that the Athletics Federation of India blocked his trip to Rio at the last minute. Then he got all the flak for Gurmeet's flop show and the omission from the camp was the last straw. He couldn't take it and he told me yesterday that he was going to quit the job and the sport too," said an SAI coach while speaking to TOI.